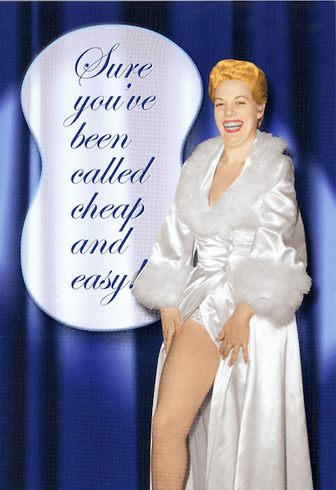 Outside: Sure you've been called cheap and easy! Inside: But that's just a vicious lie made up by the scores of men you've fucked. Happy Birthday.